Convert any written text on the web into speech. 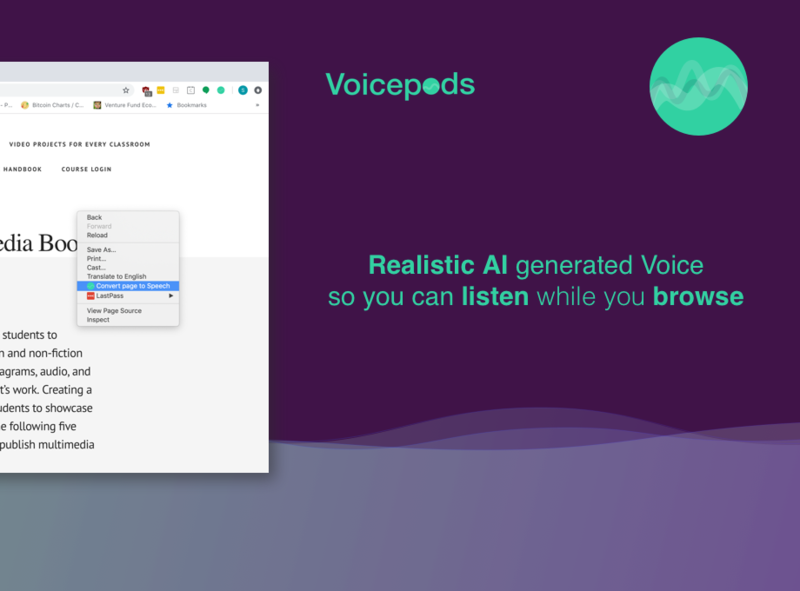 Convert any page or selection to realistic voice in seconds. Easily convert selected text or the entire page with one click and listen through the Chrome extension. It automatically syncs with your Voicepods account so that you can listen anywhere you go! Habla español? No hay problema. It works across 10 different languages. 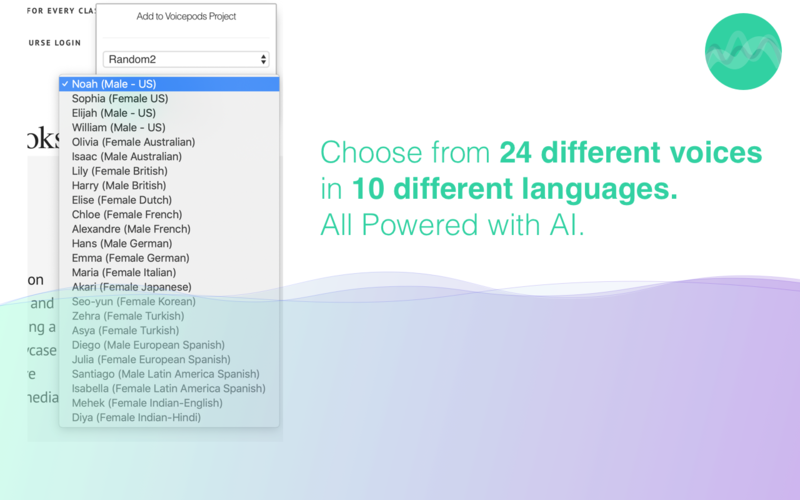 Choose from over 24 voices in 10 languages including Dutch, French, German, Italian, Korean, Japanese, Turkish, Spanish (Latin American and European), Hindi (Written as English, or Hindi).